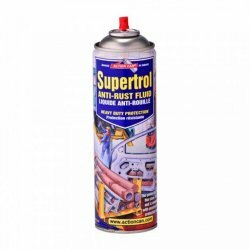 Supertrol 001 anti rust spray is a penetrating rust proofing fluid, which prevents rust and does not contain silicone. Supertrol 001 stops internal rust and offers a protective coating that stays flexible and is compatible with existing vehicle protection waxes. Supertrol is ideal for corrosion protection of steel components in storage or in transit. 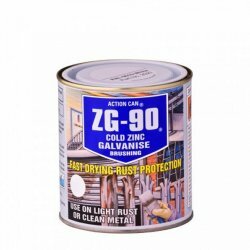 A single application of the product by spray or brush will give corrosion protection to metal. 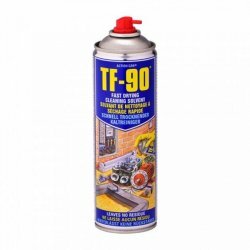 TF-90 has been formulated to replace 111- Trichloroethane based products. TF-90 will dry rapidly and will remove oil, grease, tar, wax, carbon and general soiling. TF-90 will soften some paint and will attack some plastics. Quick drying cleaning solvent and degreaser is for rapid cleaning of electrical components, metal components-degreases, removes flux, oil, tar and grime. 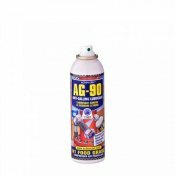 WG-90 white grease is a high quality lubricant resistant to heat and water. WG-90 is resistant to steam, acid and alkaline substance. WG-90 provides lasting lubrication and protection. 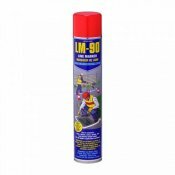 WG-90 has very good adhesive qualities and reduces wear of moving parts such as chains, gears, axles, locks, bearing etc. 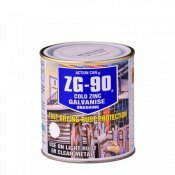 ZG-90 cold zinc galvanise brushing is fast drying rust protection for use on light rust or clean metal. ZG-90 is specially formulated to perform as an undercoat and topcoat combined in one product. Shower proof in 15 minutes and hard dry in 2 hours.